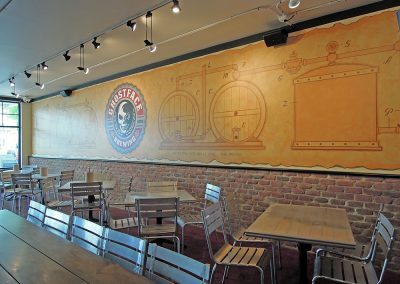 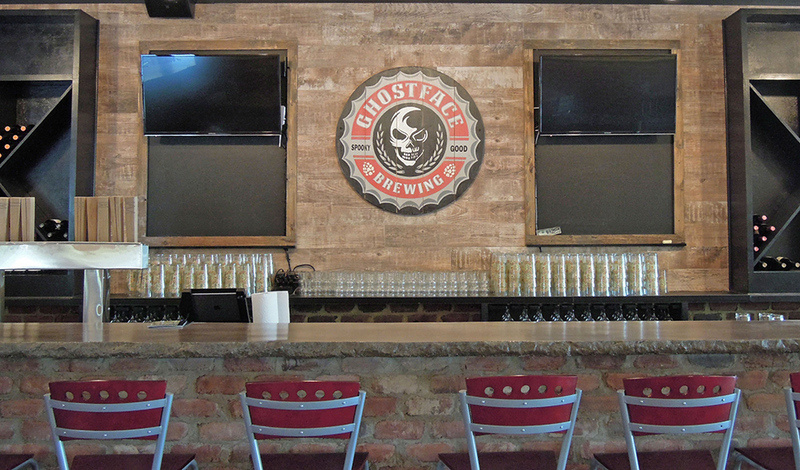 Tapping into the growing brewery market, a local home brewer jumped at the chance to secure an old restaurant space on the outskirts of downtown Mooresville. 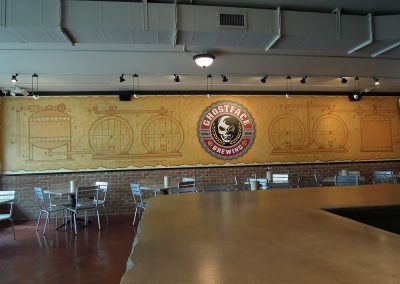 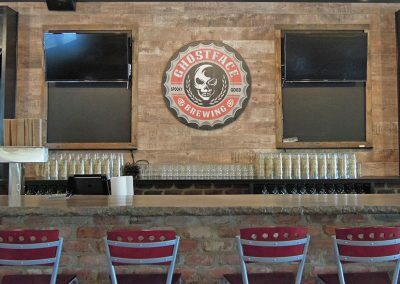 Partnering with local Davidson Pizza, the Owner set out to reuse as much of the existing space and materials as possible. 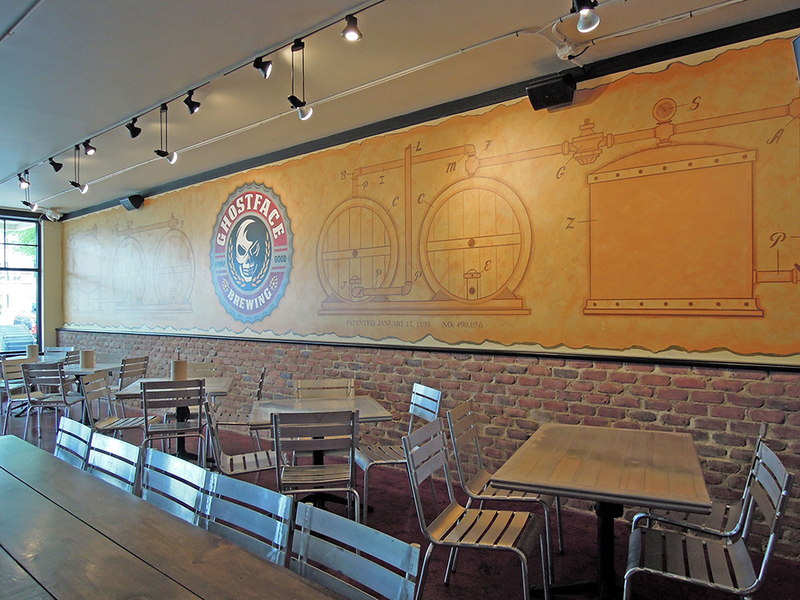 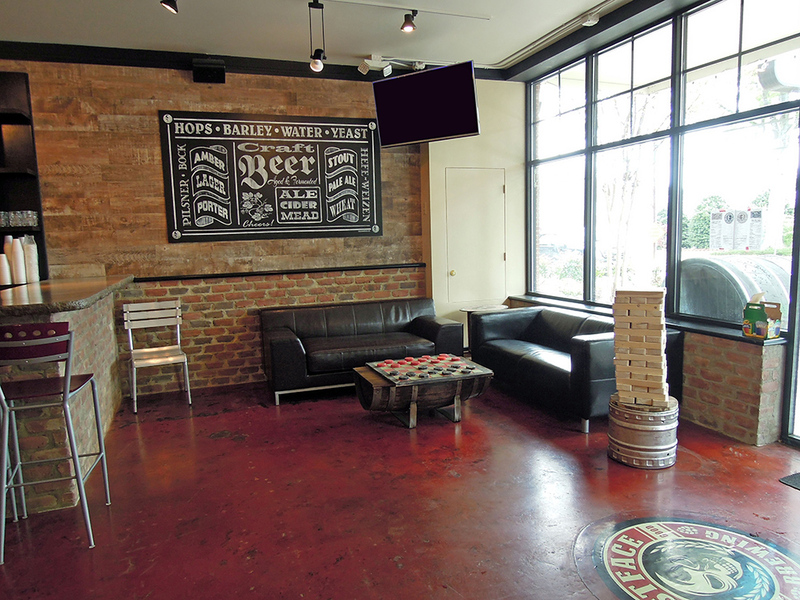 HGA worked with all parties to document the kitchen and brewery equipment, seating layout, and coordinate construction documents for review by the local jurisdictions. 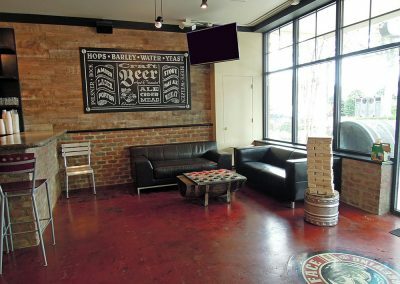 The over 2,500sf Taproom features exposed brick reclaimed from the previous kneewalls interior of the old restaurant, a concrete bar top, a mix of wood and metal tables and chairs including large communal tables, and a corner Lounge.